Research is making inroads in detecting and treating cancer, but the disease still affects millions of people around the world. 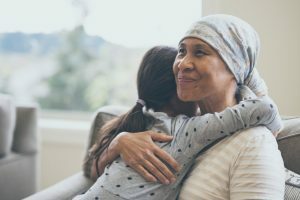 According to the Centers for Disease Control and Prevention (CDC), over 1.5 million people in the United States are diagnosed with cancer in one year and almost 600,000 die. Worldwide, the disease claims almost 10 million people in one year. This number is expected to rise to 13 million. February 4 is World Cancer Day, an observance initiated in 2000 at the World Summit Against Cancer for the New Millennium. This day isn’t so much about raising awareness of cancer but to help people understand that while the disease isn’t always preventable, there are some things they can do to help reduce their risks of getting some types of cancer. And if they are diagnosed with cancer, to maximize treatment so it has the best possible chances of being successful. The problem with a disease like cancer is that it isn’t always the cancer itself that can result in death. It’s not unusual for someone to be seeing good results from the cancer treatment, only to be struck down by a complication, such as an infection that may lead to sepsis. In fact, patients with cancer are much more likely to be hospitalized with severe sepsis than the general population. Treatment for cancer can make you susceptible to contracting infections and make it harder for you to fight it. Chemotherapy: Chemotherapy and some other cancer-fighting medications lower your ability to fight infections. Your immune system cannot detect nor fight infection-causing organisms. Hospital or clinic visits: Every time you go to the hospital or clinic or admitted to the hospital, you are exposed to infections. Surgical or invasive medical procedures: Central lines or PICC lines, IVs, urinary catheters, surgery – these are a few of the most common invasive procedures that increase your risk of infection. Whenever there is a break in your skin or a medical device, like a urinary catheter, is inserted into your body, you are at risk of contracting an infection. If you are undergoing cancer treatment, ask your doctor what signs of infection to watch for and who to call or visit if you suspect you may have an infection. Signs of infections depend on what type of infection you have. For example, if you have pneumonia, you may have fever, difficulty breathing, coughing, and pain when you take a deep breath. If you have an infection at a central line insertion site, you may have a fever, redness and increased pain around the area the central line was inserted. Temperature: Higher or lower than normal. Infection: Signs and symptoms of an infection, or being in a situation where you may have been exposed to an infection. Mental status: A change in behavior, forgetfulness, sleepiness, difficulty rousing. Extremely ill: Feeling like you’re the sickest you’ve ever been, experiencing the worst pain you’ve ever felt, feeling like you may die. To learn more about Sepsis and Cancer, visit our Sepsis and… library. Previous Previous post: Sepsis Institute Coming Soon!